C/2012 K1 (PANSTARRS) was discovered as magnitude 19.7 object at distance of 8.7 AU from the Sun on 19 May 2012 using the Pan-STARRS telescope located near the summit of Haleakalā, on the island of Maui in Hawaii. By late April 2014 it brightened to roughly apparent magnitude ~8.8 making it a small telescope/binoculars target for experienced observers. This image shows the comet on the night of May 6th 2014 and is a composite of 3 LRGB sets of 2 min. exposition each. 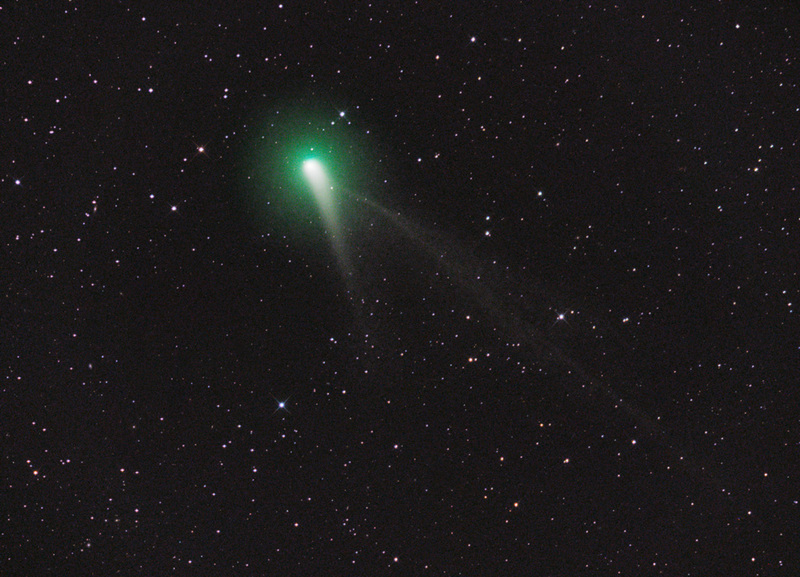 Two combined 5 min L frames with a tracking on the comet were added in order to increase the signal in the comet's tail.